Managing director Niels Nielsen is passionate about the power of EPOS. 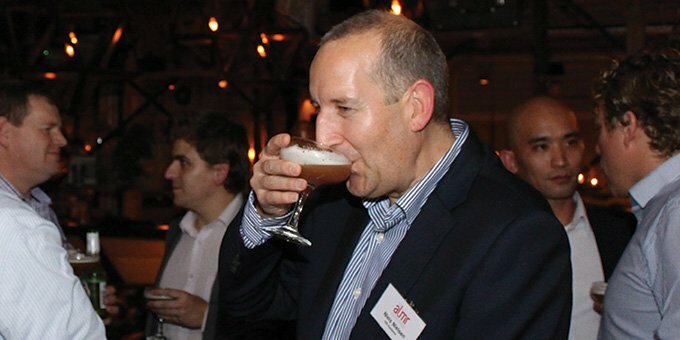 One of the EPOS industry’s most experienced and innovative experts, he works with many leading hospitality and retail independents and multiples such as Alma De Cuba, Bar & Grill, Cheshire County Council, Gusto, Felicini restaurants, High Peak Borough Council, Living Ventures, Lowry Arts Centre, Max Spielmann, Salford City Council, San Carlo, Stockport Metropolitan Borough Council and Timpson. What is your job title? 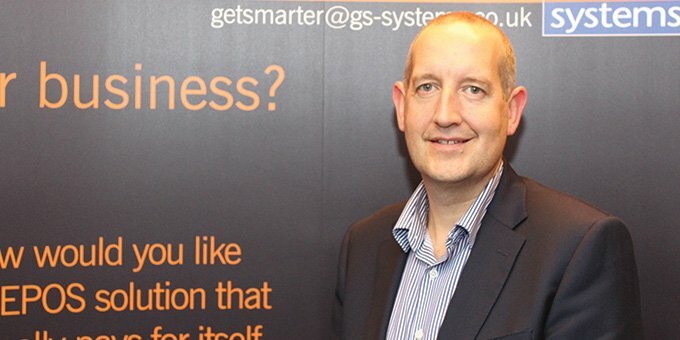 I am the managing director of GS Systems. What are your job responsibilities? To ensure the correct strategic plans are in place so both GS Systems and our clients can meet their growth targets. Essentially this means giving ourselves and our clients the right technology tools and appropriate support services to do things better than anybody else. What is your previous experience? I’ve always worked for GS Systems (or Grove Supplies as we were previously known) since leaving college. My practical work experience covers all aspects of the cash register and EPOS businesses across both hospitality and retail sectors. As my career has developed so has the technology we’ve used and I have been at the forefront of the development and innovative use of technology. We were among the first EPOS specialists to introduce handhelds EPOS terminals to the hospitality sector. I’ve supported my practical experience with additional training and educational courses to enhance my leadership and management skills. What attributes are essential to do your job? An ability to not only listen to a client’s current challenges but to also understand where they want to grow the business in the future – and then ensuring they have the right EPOS solution in place that can help them achieve their goals. What are the biggest challenges in your job? The biggest challenge – dare I say frustration – is making sure prospective clients understand that the actual cost of an EPOS solution is not just the price they pay for the system. Once we factor in the savings and additional revenues that a solution will help them generate the penny drops and they understand the benefits to the bottom line. Where have you added value to clients? Every contact we have with a client should have added value. What are your most enjoyable work experiences? Seeing businesses grow and do well. Nothing beats getting an email from a client telling me they are opening more sites and want our solutions to help them expand. What is your best tip to help clients grow their businesses? Realise the full potential of your EPOS solution by implementing the correct procedures across the business without exception. What is your favourite hobby? Flying. I hold a private pilot’s license and love the freedom it brings. Why do you like flying? I love the views you get from 2,000 feet above the ground, the sense of achievement you get when you fly yourself to a destination and when time permits I love to visit different countries – everyone is always very welcoming when you visit small regional airfields and you get to meet lots of great people and see some great places. Favourite book? I only read books when I go on holiday and enjoyed The Pelican Brief, Bourne Identity & The Da Vinci Code which I read before I saw the films… with the exception of Bourne Identity the books are better than the films.